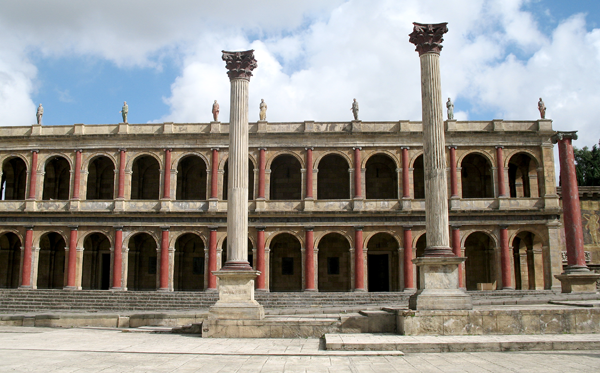 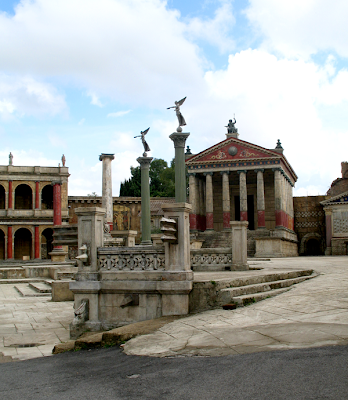 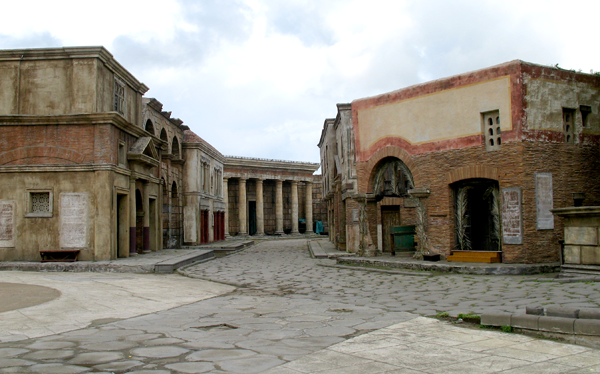 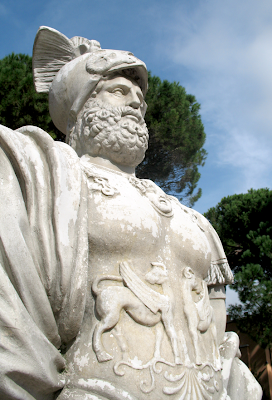 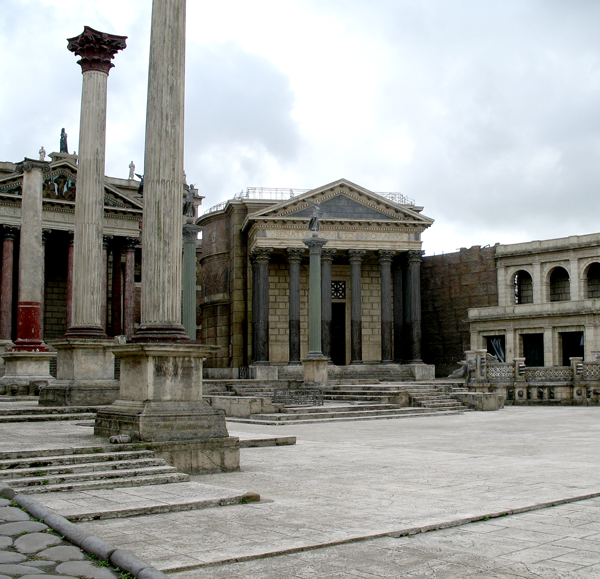 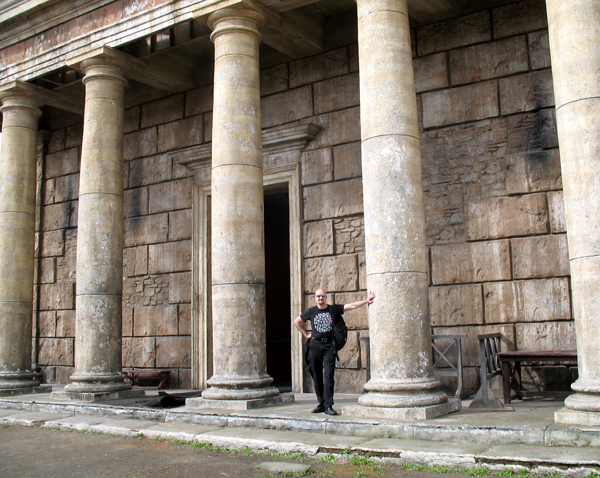 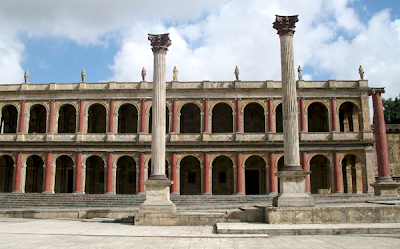 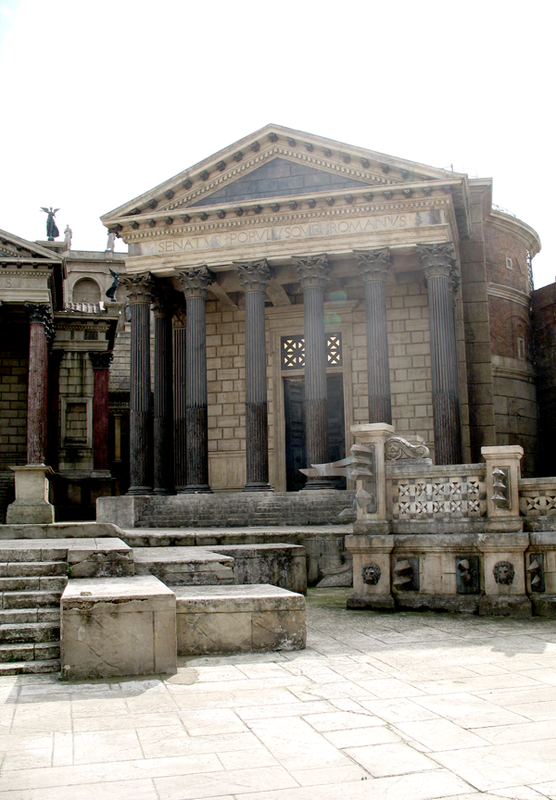 After visiting Pompeii and Rome itself, I got a real kick out of stopping by Cinecitta Studios outside the city, where the sets of HBO's Rome series still stand. 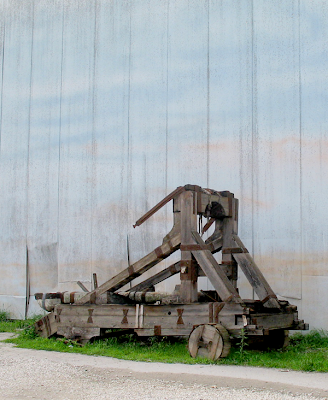 They're made out of wood, of course, and if you knock on them they sound hollow. 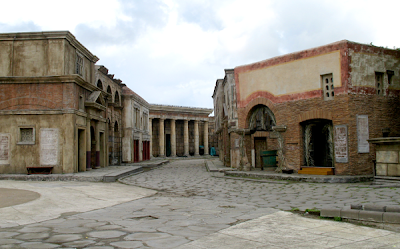 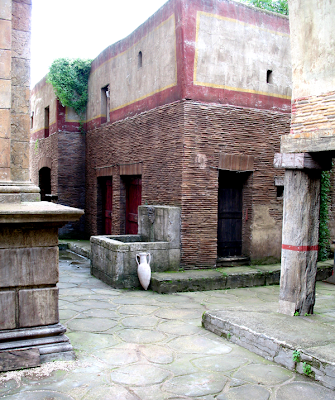 But it's still fun to see what Pompeii's streets might have looked like back in the day. Most of the city's cut off at chest height, or lower; only a few buildings still retain their original roof. 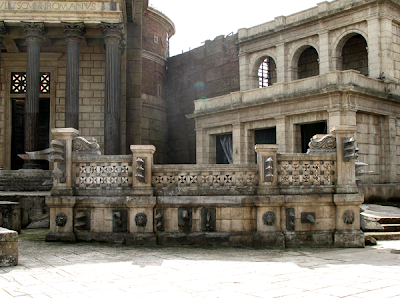 The baths is one. 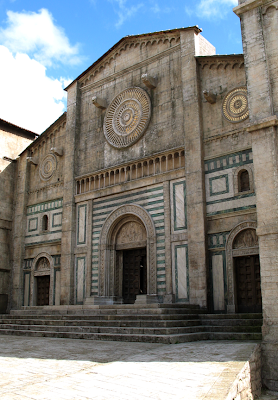 It's quite well preserved, with murals and mosaics still evident. 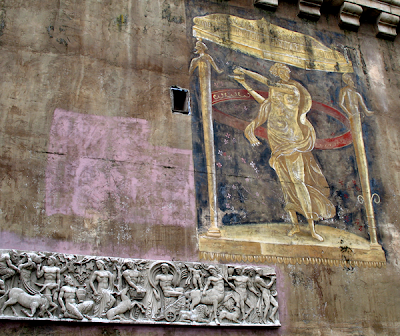 Outside, there's graffiti on walls, penises at corners, and a incredibly well preserved (and restored) brothel. 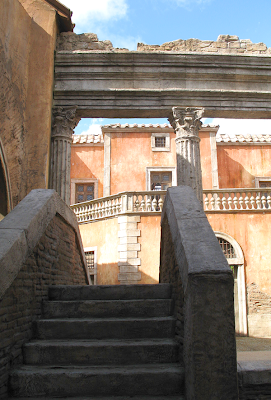 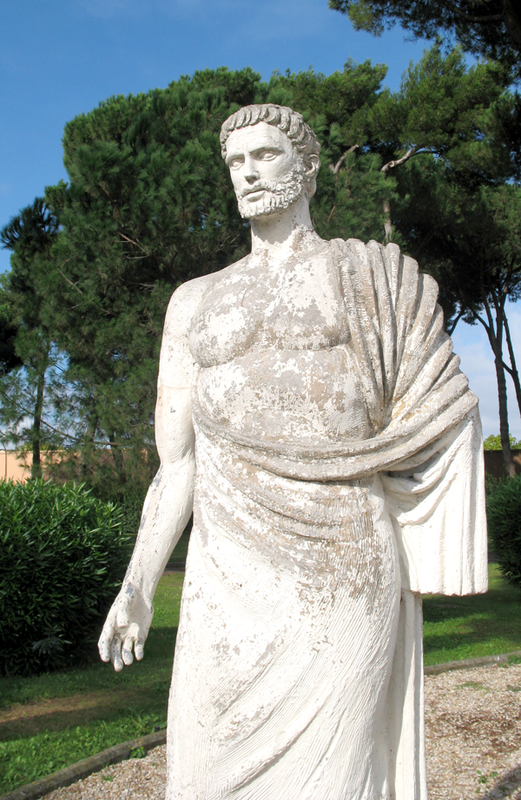 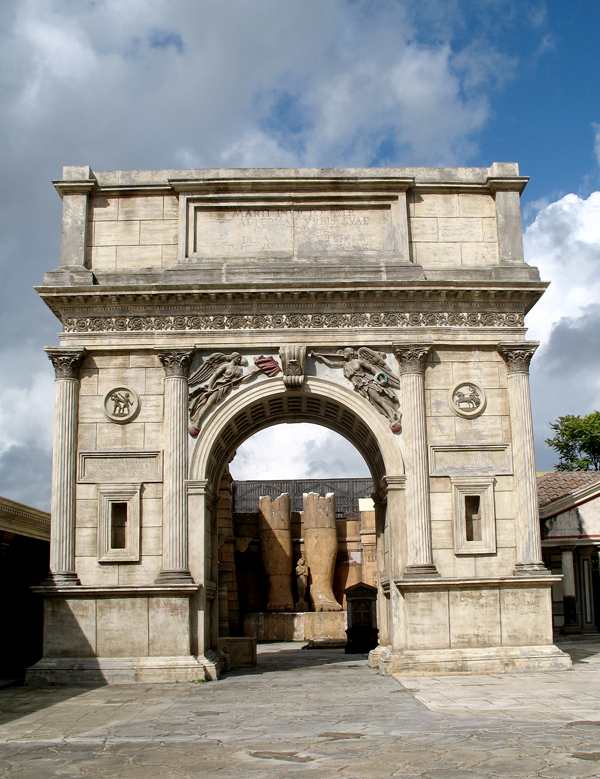 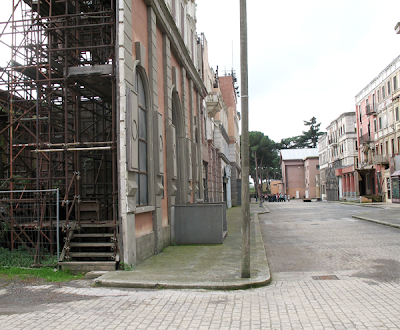 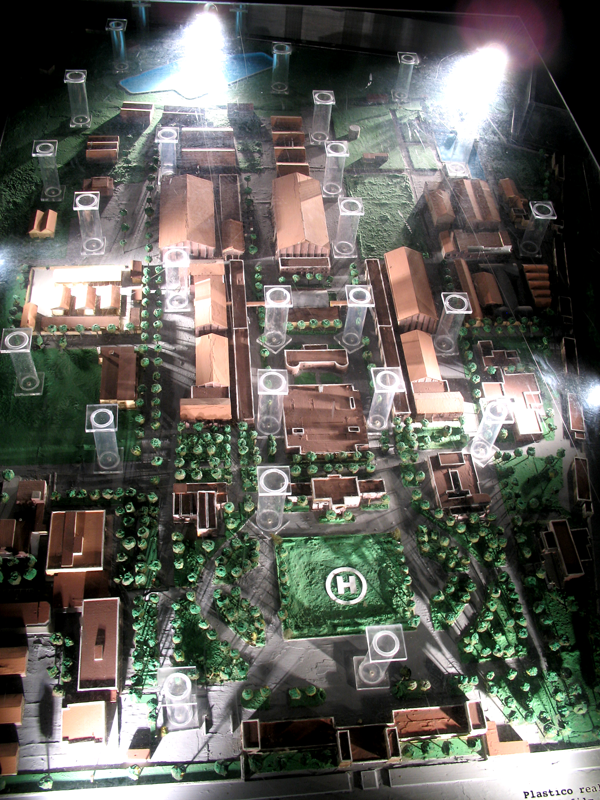 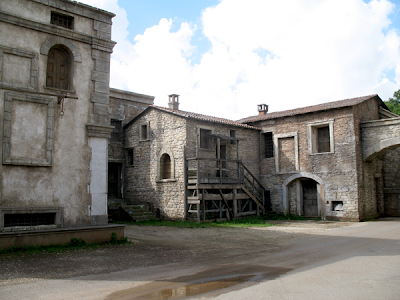 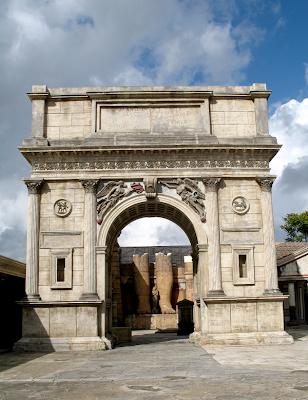 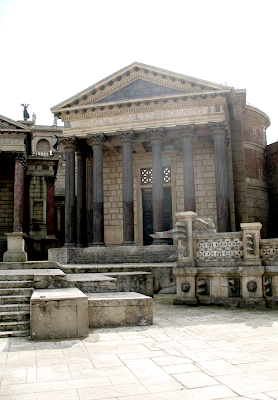 But if your imagination needs an assist, Cinecitta does the job nicely. 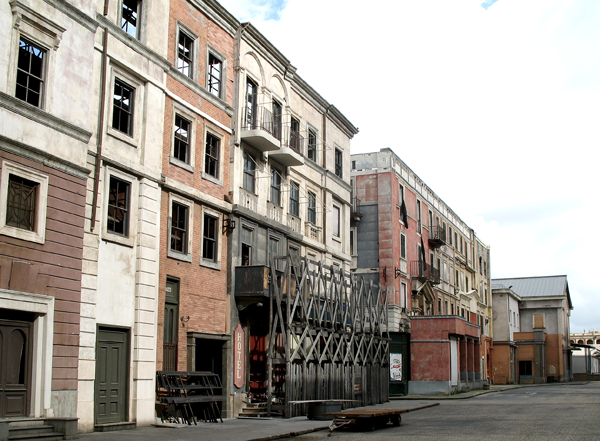 Like Disneyland, it's not entirely accurate. 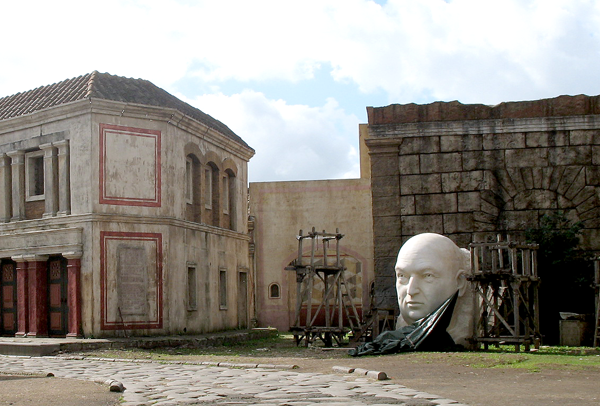 Archaeologists and the cognoscenti will be appalled, but fellow philistines will find the HBO sets like a walk into the past. Best of all, unlike previous Sword and Sandal epics, the sets here are painted in more realistic colours. 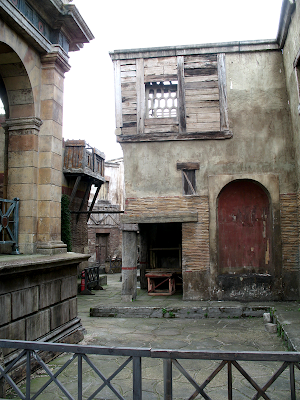 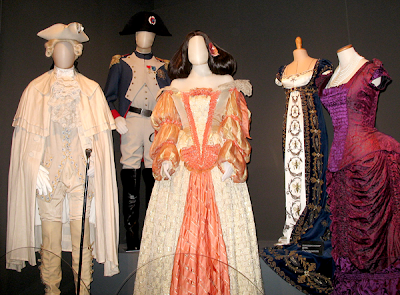 There's an indoor display that plays footage from films shot at Cinecitta, as well as props and costumes. 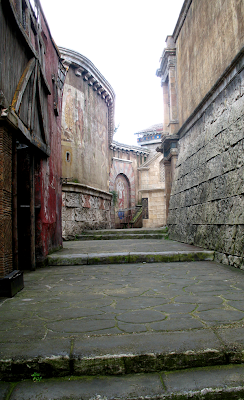 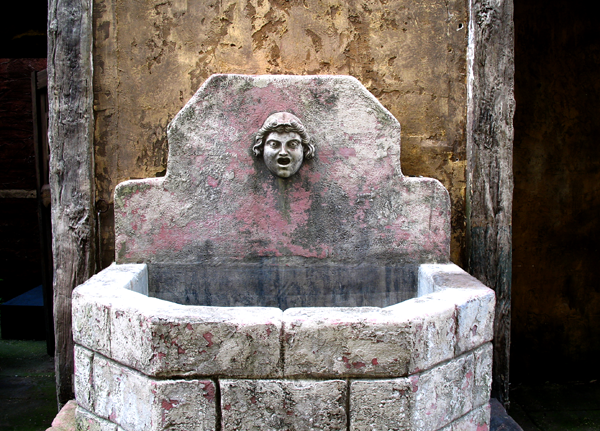 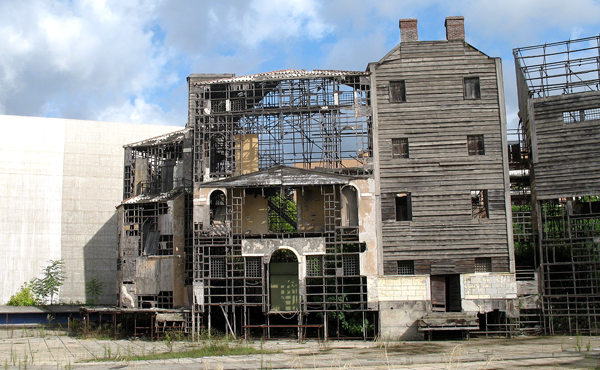 To reach Rome you must first pass through the crumbling remains of the Gangs of New York sets. The Rostrum, the public speaking platform, complete with ship prows.